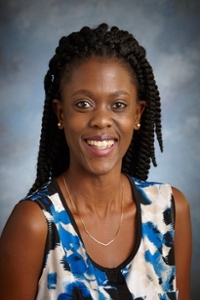 Yvonne Ayesiga is serving her third year as the hall director of Shipstad Hall. Yvonne holds a Bachelor of Arts degree in political science and international relations from Wartburg College, Iowa. Post graduation, she served as resident hall director and residential life service learning coordinator at her alma mater. She recently completed a Master of Arts in higher education - student affairs from the University of Northern Iowa. Yvonne brings valuable experience in teaching instructional technology, coordinating service learning opportunities, student activity programming, and strengthening community relations. She is elated to serve in the residence life family at the University of Portland and mentor students in their goals towards Christian living and learning experiences. Yvonne enjoys cooking and watching movies and is a staunch supporter of the Timbers.